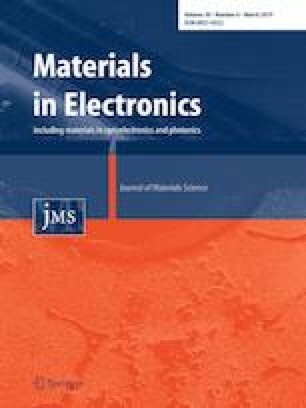 The effects of the flux formulation temperature on the printing and wetting properties of solder paste were evaluated in this study. The tested flux formulation temperatures were 100, 150, and 200 °C. The fluxes were mixed with Sn–3.0Ag–0.5Cu (SAC305) solder powders to produce solder pastes. The slump ratio of the solder paste increased with increasing flux formulation temperature. Slump and bridge tests revealed that low flux formulation temperatures provided good slump properties. The flux viscosity decreased with the flux formulation temperature, which also decreased the solder paste viscosity. Hence, the high slump with high flux formulation temperature was due to low flux viscosity. The wetting properties of the flux were observed by wetting balance testing. The wettability was the lowest for the lowest flux formulation temperature because of its high viscosity. Although the viscosity was the lowest at a formulation temperature of 200 °C, the wettability was not the highest because of the low flux activation. Therefore, the flux formulated at 150 °C provided the best solder printing and wetting properties. This work was financially supported through a grant from Korea Institute of Industrial Technology, Republic of Korea.